The one question (actually there are problem a bunch moreâ€¦) that drives me crazy: â€œwhatâ€™s for snack?â€� â€“ â€“ ugh! I should be able to anticipate it â€“ itâ€™s the first thing they ask when they walk in from school, etc, but itâ€™s still a big struggle for me. 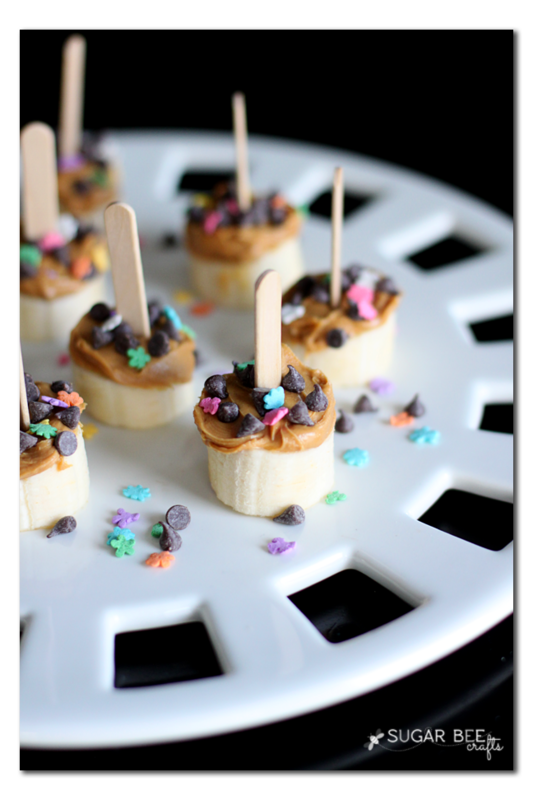 So if you have any ideas for super fun, super easy, super cute snacks, list them in the comments â€“ I need more ideas! And you were all LOVING it. And I thought â€“ time to step it up a notch. 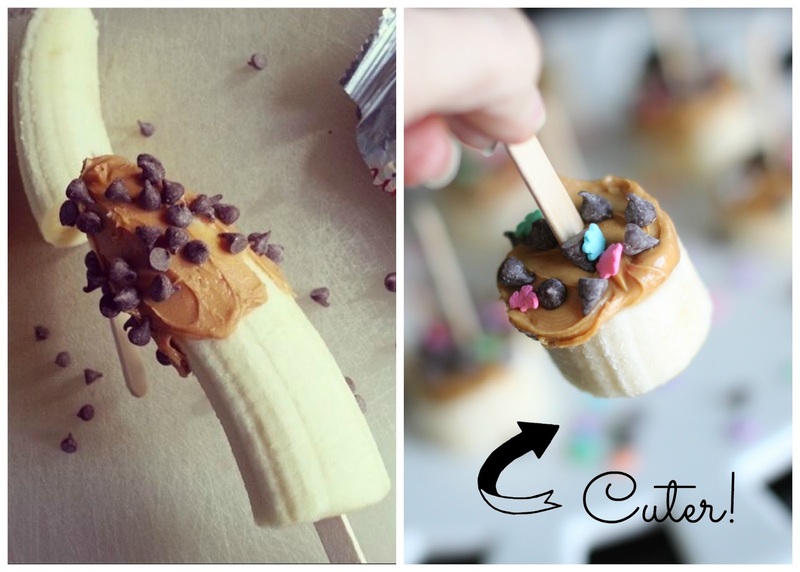 If itâ€™s bananas on a stick you want, then game on. 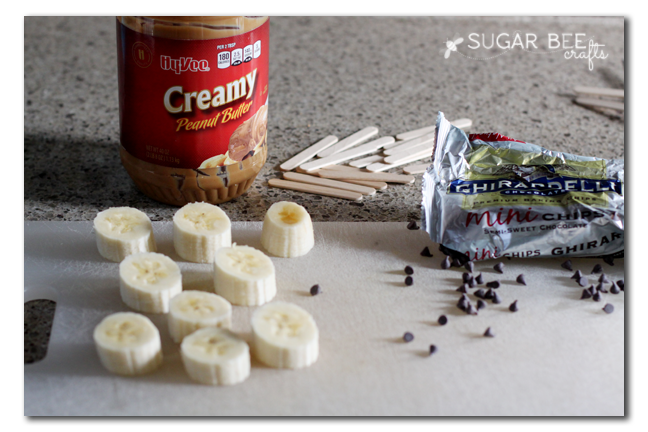 To make them, put a glob of peanut butter on top of a banana slice. Top with chocolate chips and sprinkles. Insert popsicle stick. Pat yourself on the back for being awesome. End tutorial. So, thatâ€™s my one snack tip for you. Now, what do you have for me?? ?